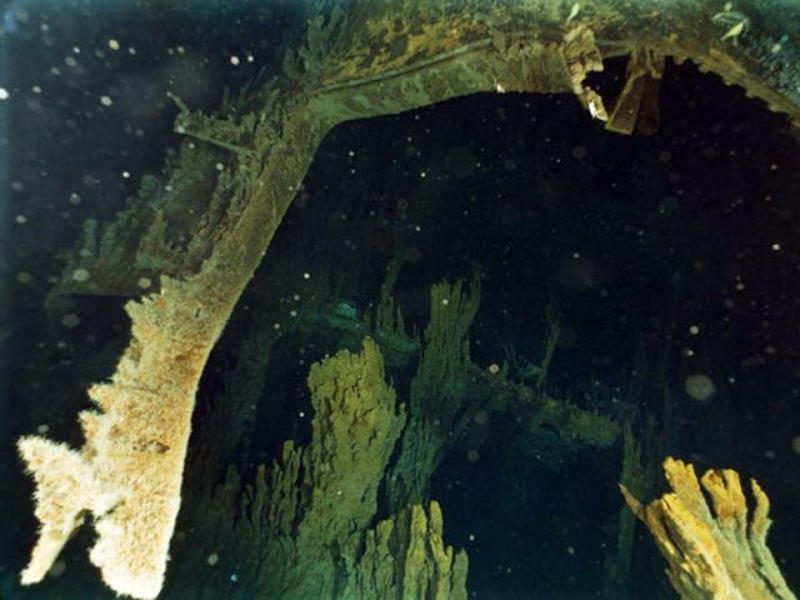 The Titanic disappeared in 1912, yet decades had passed before the discovery of its wreckage. After many years of searching, it wasn't until Sept. 1, 1985 that scientists were able to find what they were looking for. 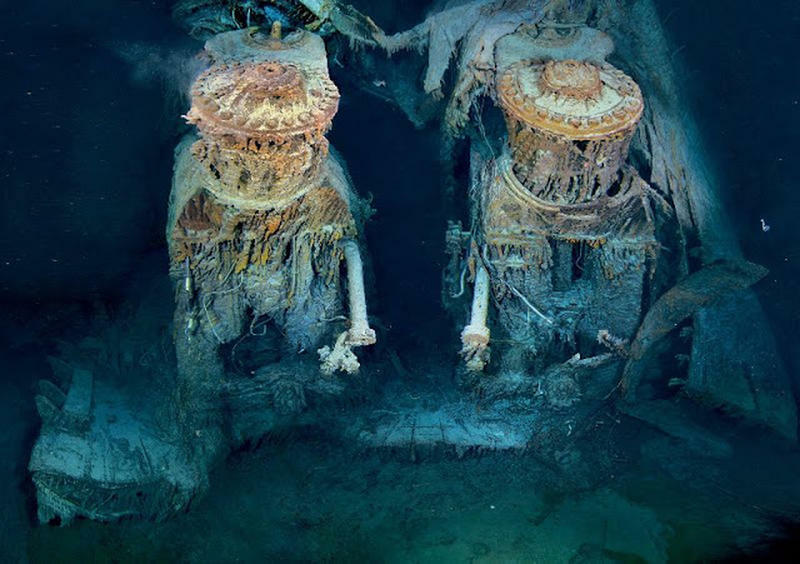 Two of Titanic's engines were exposed in a gaping cross section of the stern. 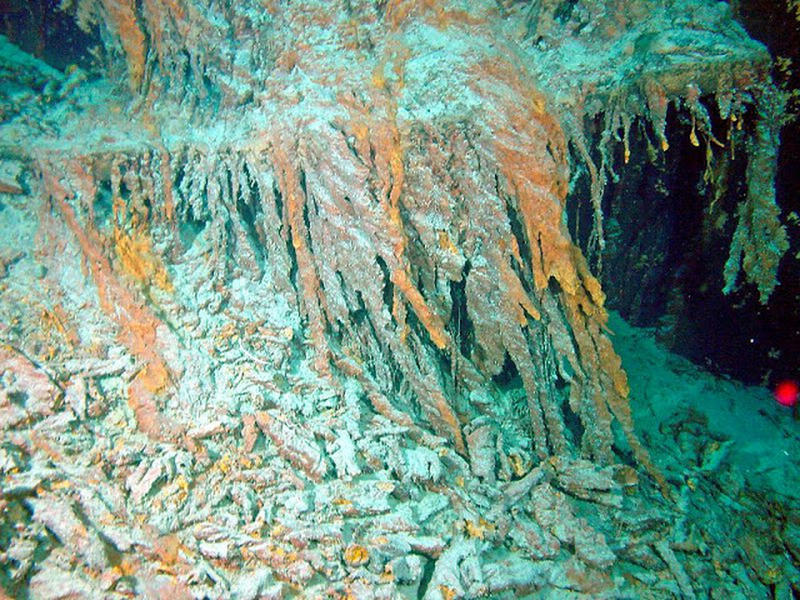 Draped in "rusticles"—orange stalactites made by iron-eating bacteria. These massive structures, four stories tall, once powered the largest moving man-made object on Earth. 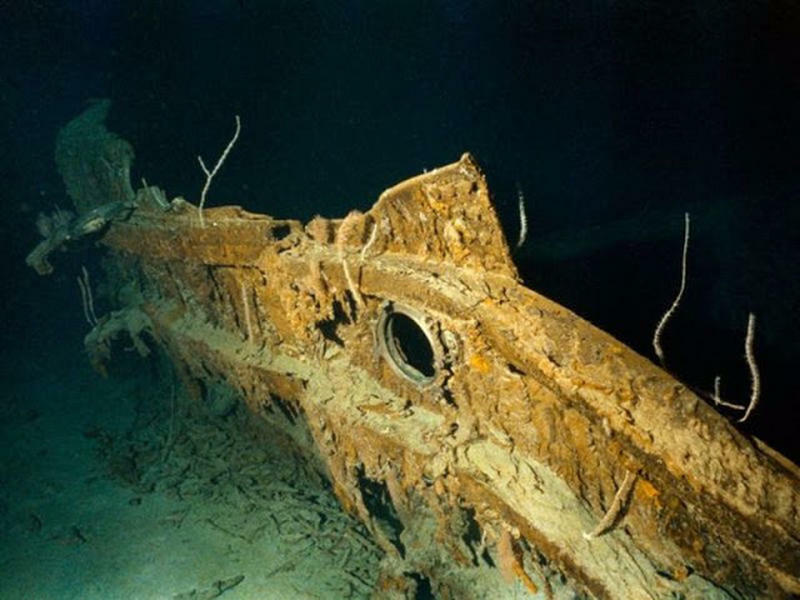 An image of the bow of the RMS Titanic. 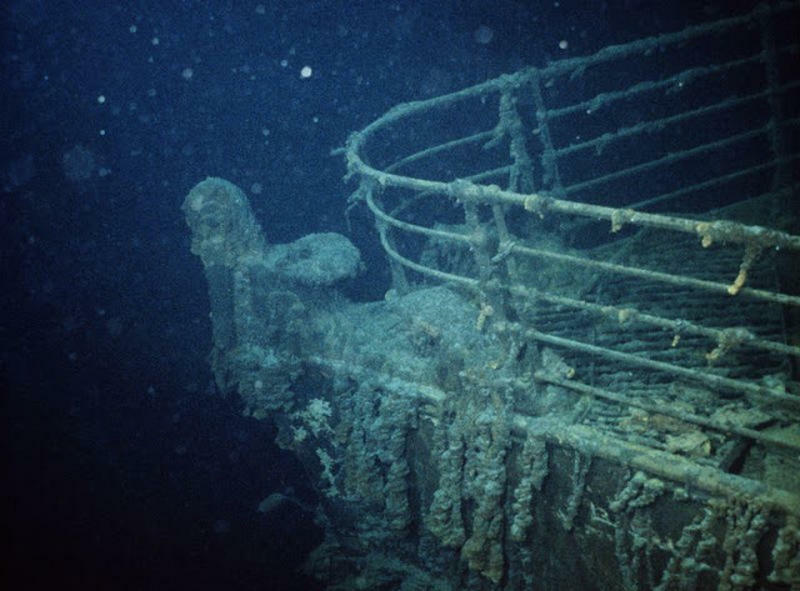 A photo of the bow and railing of the RMS Titanic. 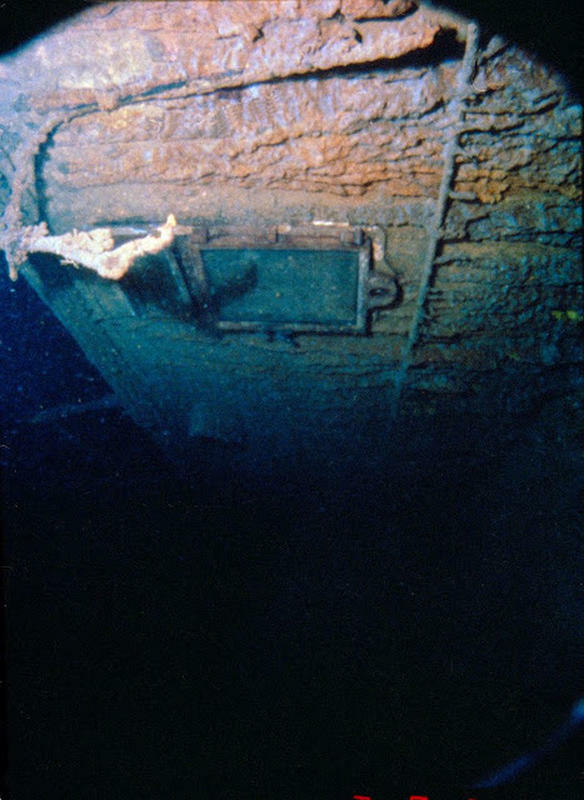 A view of the bow of the Titanic from a camera mounted on the exterior side of the Mir I submersible. 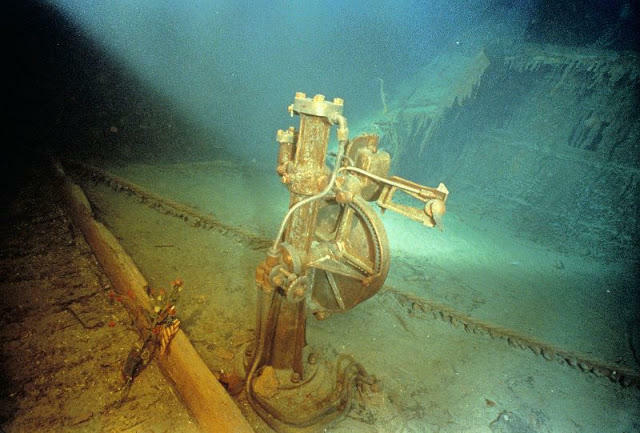 An image of the steering motor seen on the bridge of the Titanic. A view of the bathtub in Capt. Smiths bathroom. Rusticles are noted forming over most of the pipes and fixtures in the room. 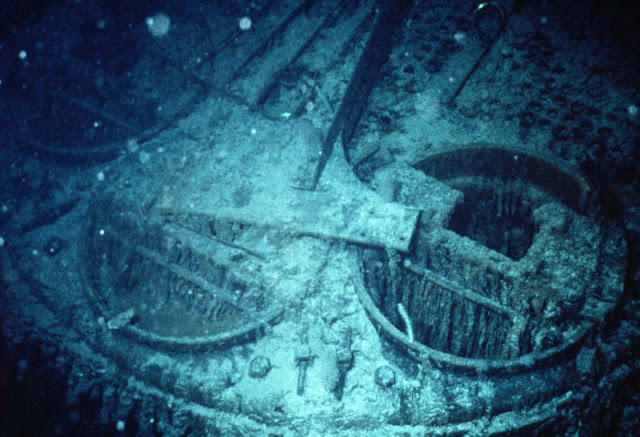 With her rudder splitting the sand and two propeller blades peeking amidst the murkiness, Titanic's mangled stern lies on the abyssal plain, 1,970 feet south of the more photographed bow. This optical mosaic fuses 300 high-resolution images taken on a 2010 expedition. Detached rusticles below port side anchor indicating that this oxidized iron pass through a cycle of growth, maturation and then fall away. Possibly, this specific "crop" was in a five to ten year cycle. 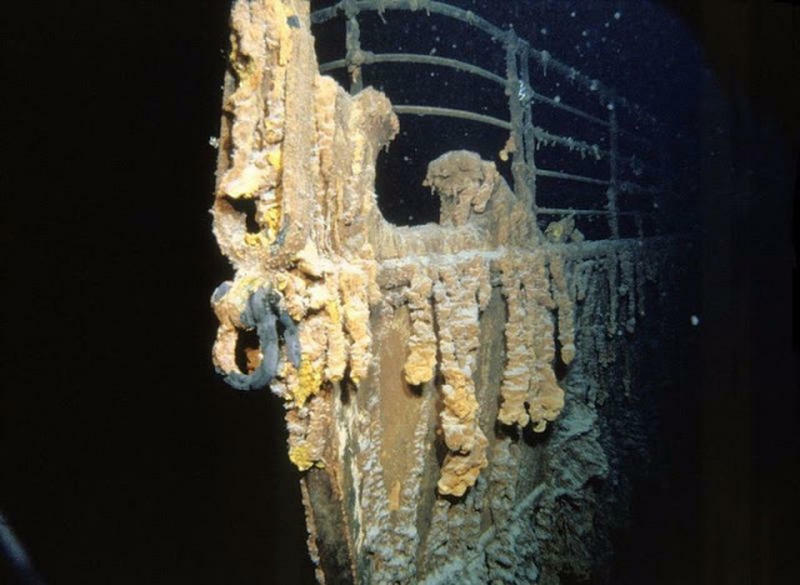 Rusticle hanging from the stern section of the RMS Titanic revealing secondary growths during maturation. 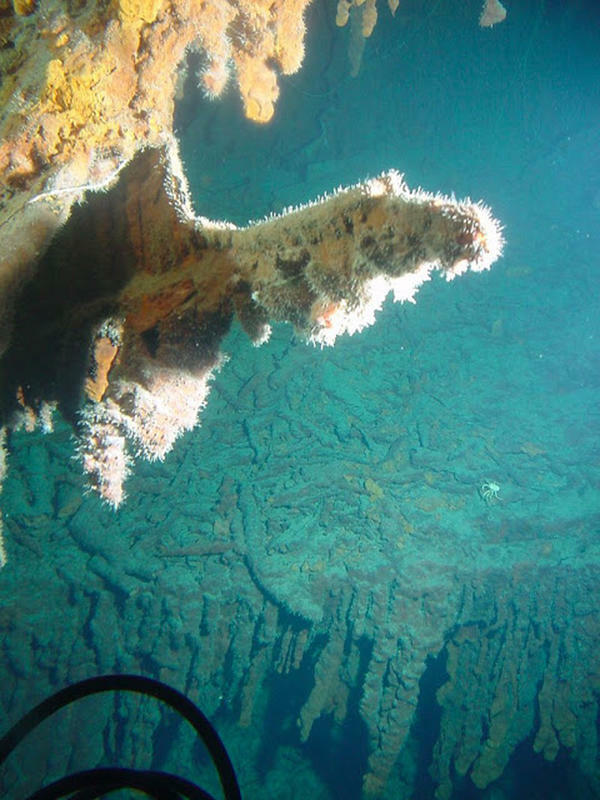 Rusticles forming down from the stern section of Titanic. 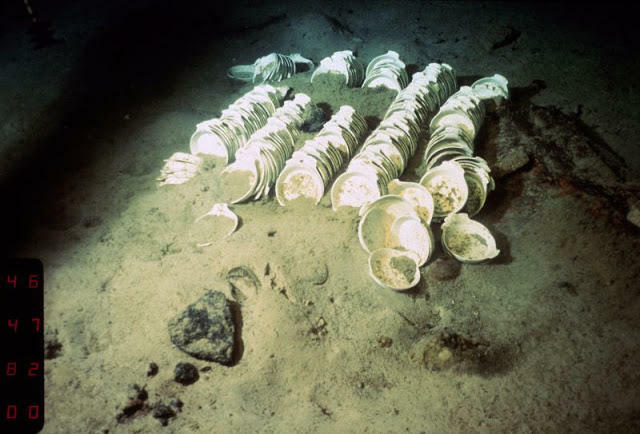 China dishes are among the debris left from the wreck of the Titanic, as she lies disintergrating on the Atlantic Ocean floor south of Newfoundland. 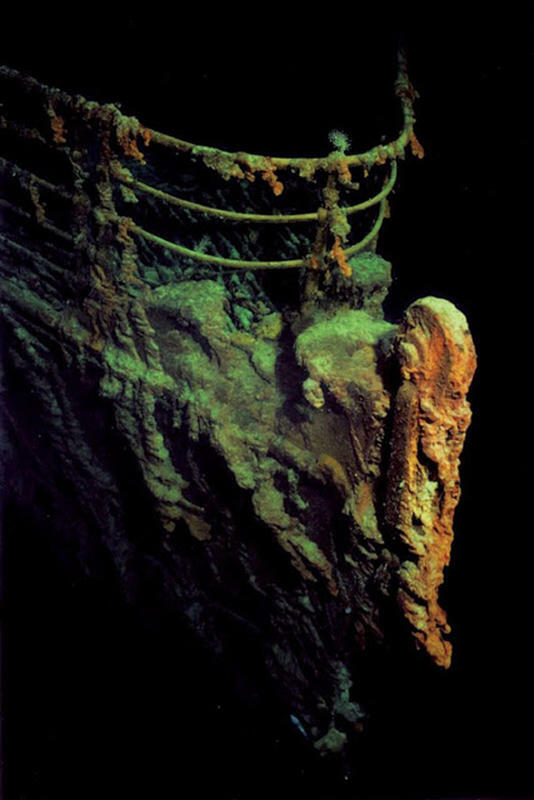 An image of the prow of the HMS Titanic. 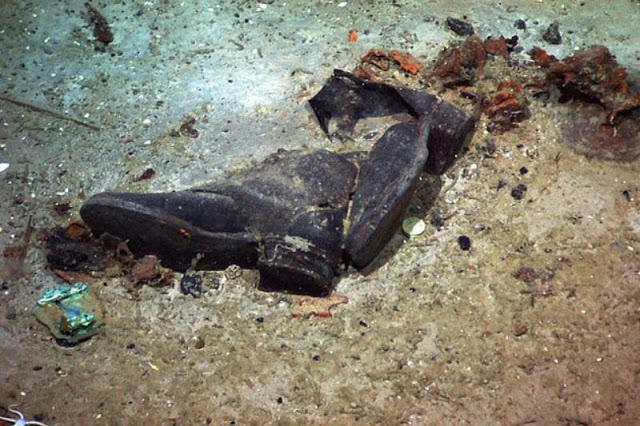 A pair of shoes are suggestive evidence of where a victim of the Titanic disaster who came to rest. 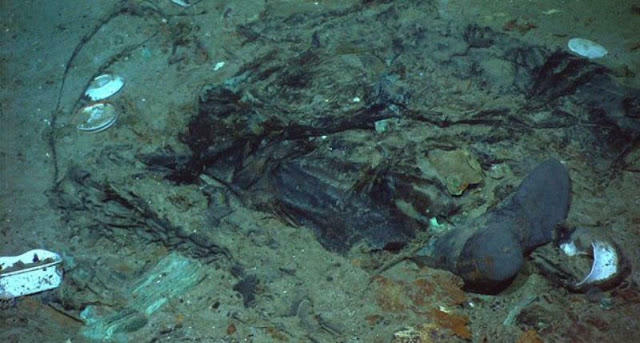 While the visible remains of the victim have disappeared, it probably is just lying in close proximity. 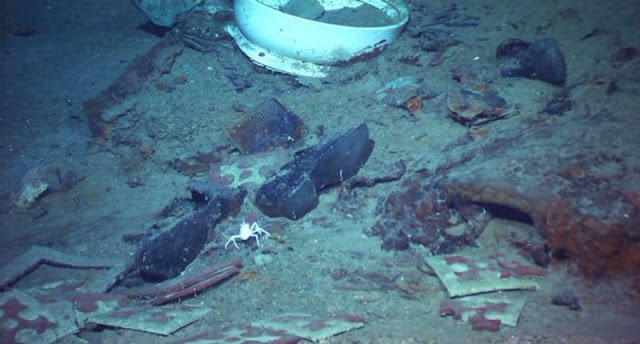 The remains of a coat and boots, articulated in the mud on the sea bed near Titanic's stern. Also suggestive evidence of a casualty from the disaster. An officer's cabin window on the Titanic's boat deck. 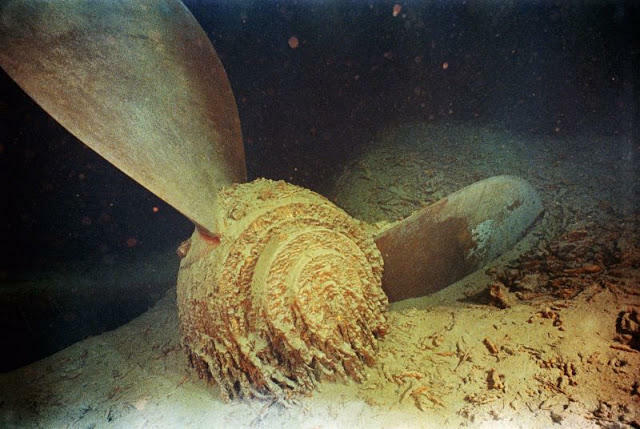 A photo of the starboard wing propeller from Titanic shipwreck. 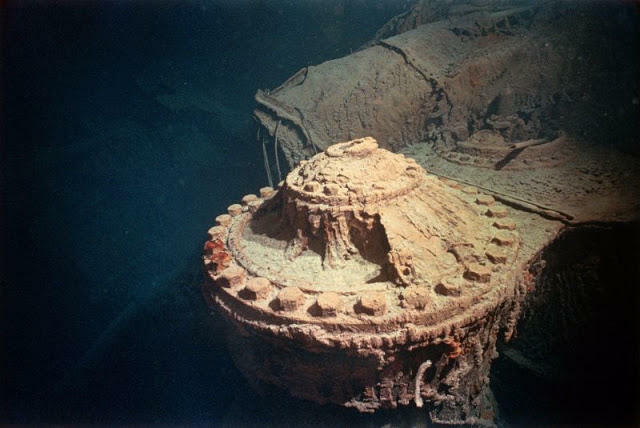 The low pressure cylinder head of the port steam engine of the RMS Titanic. 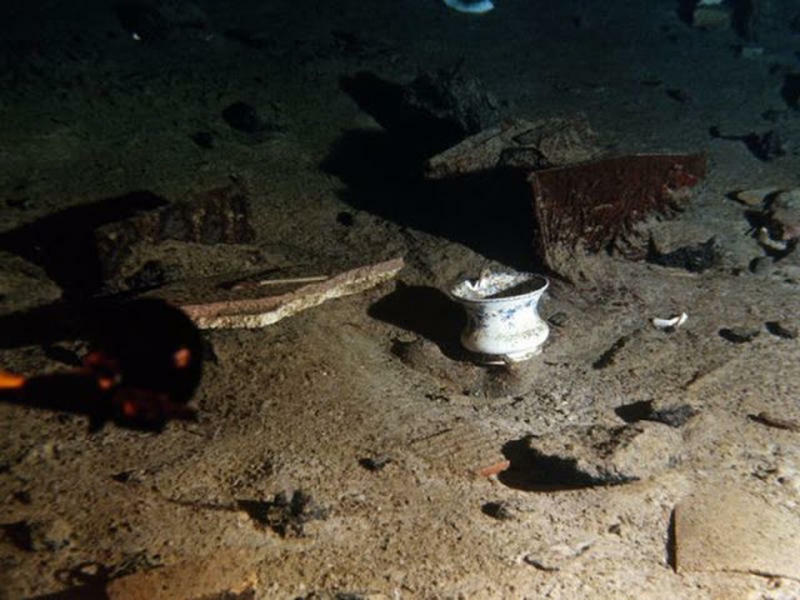 Cooking pots seen from Titanic shipwreck. 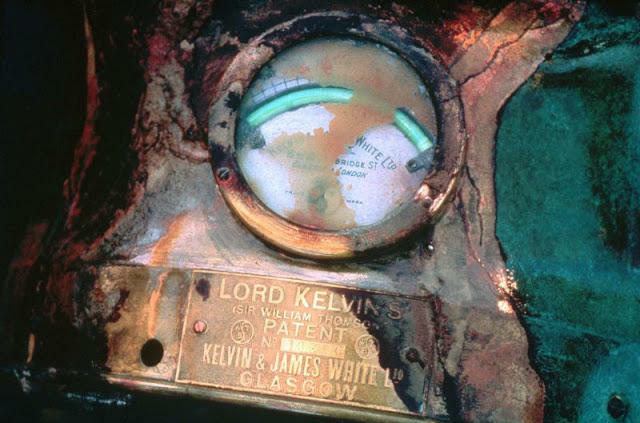 An electric meter used for the electric light from the compass of the Titanic also recovered from the shipwreck. 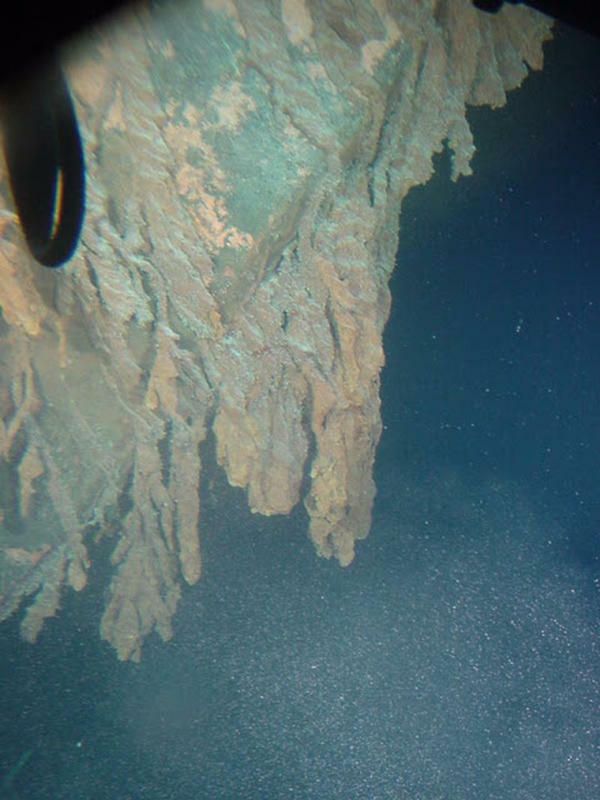 The stoking ports of a boiler in the debris field of the shipwreck. 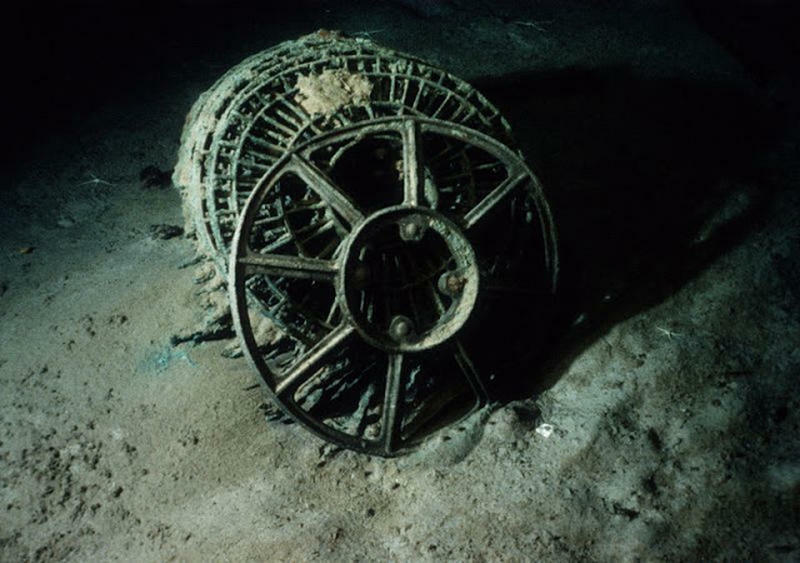 The insides of a power turbine of the RMS Titanic. 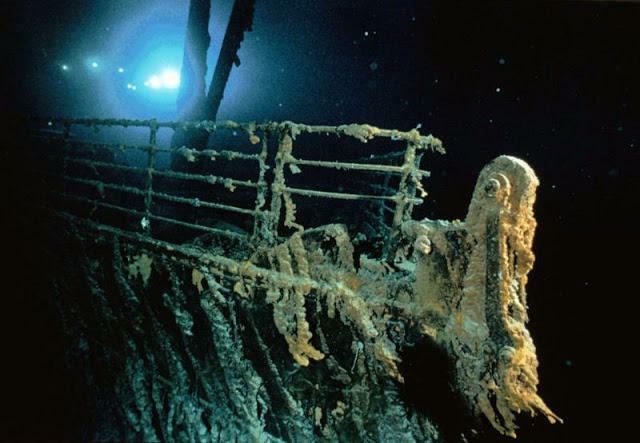 The prow of the HMS Titanic, as she lies on the Atlantic Ocean floor south of Newfoundland. 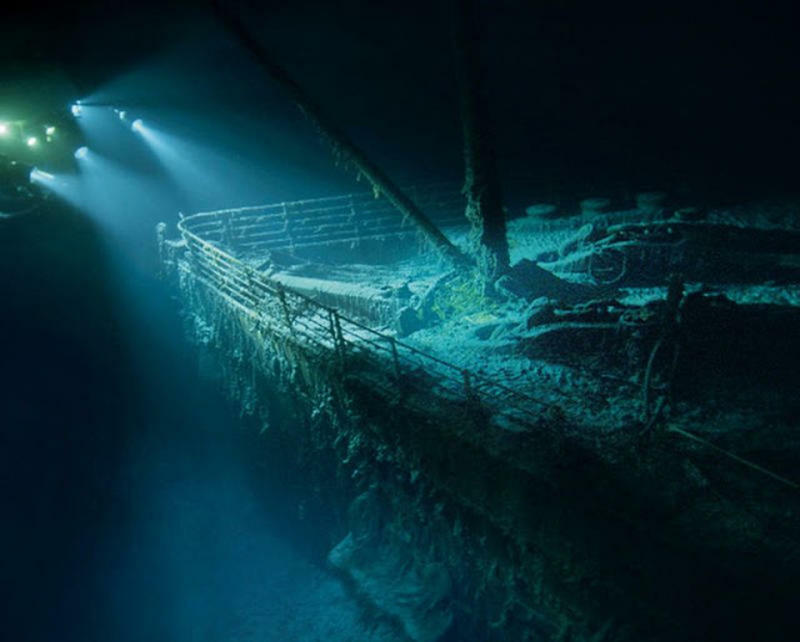 An intact glass pane seen from the window of Captain Edward J. Smith's cabin hangs open on the Titanic. 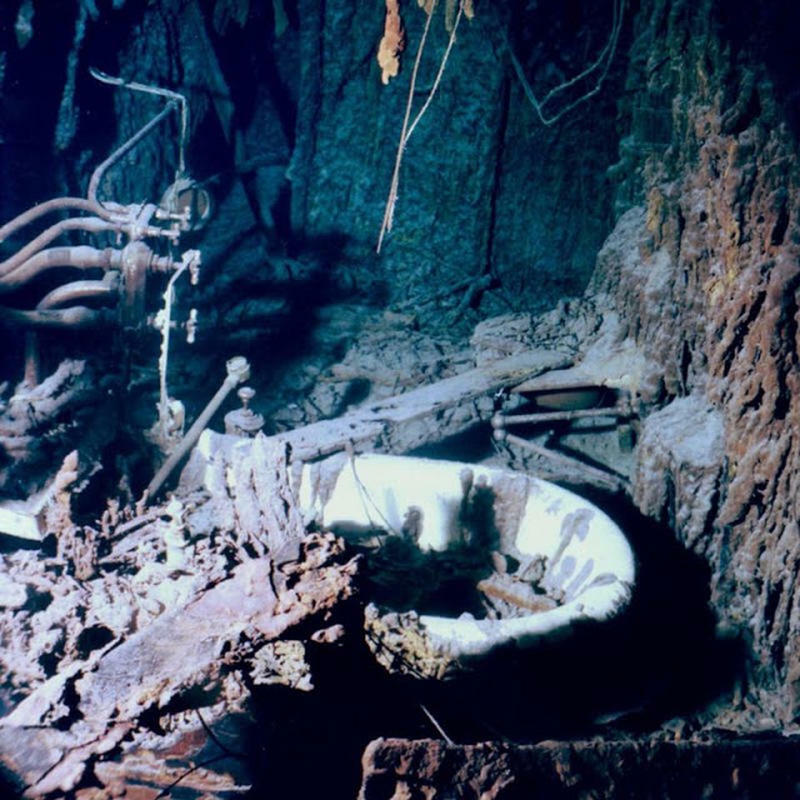 A ceramic bowl and other debris left from the Titanic. 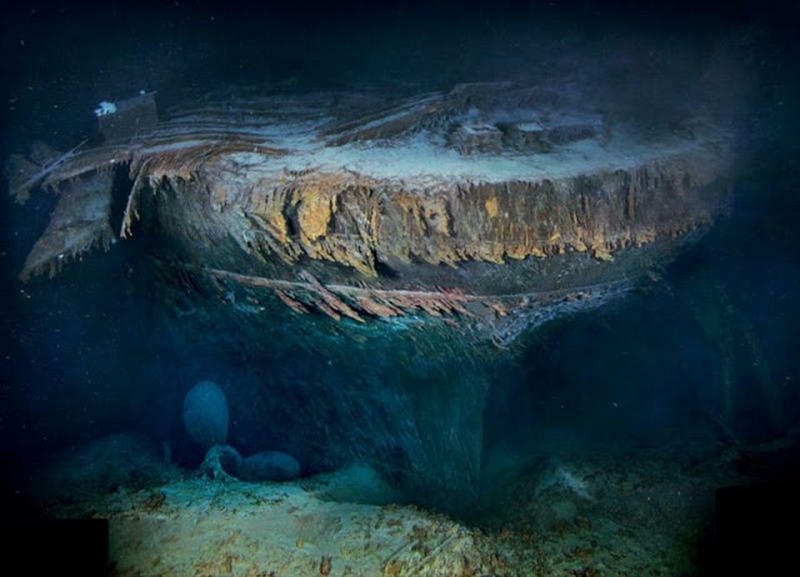 A hull fragment from the Titanic lies on the ocean floor. 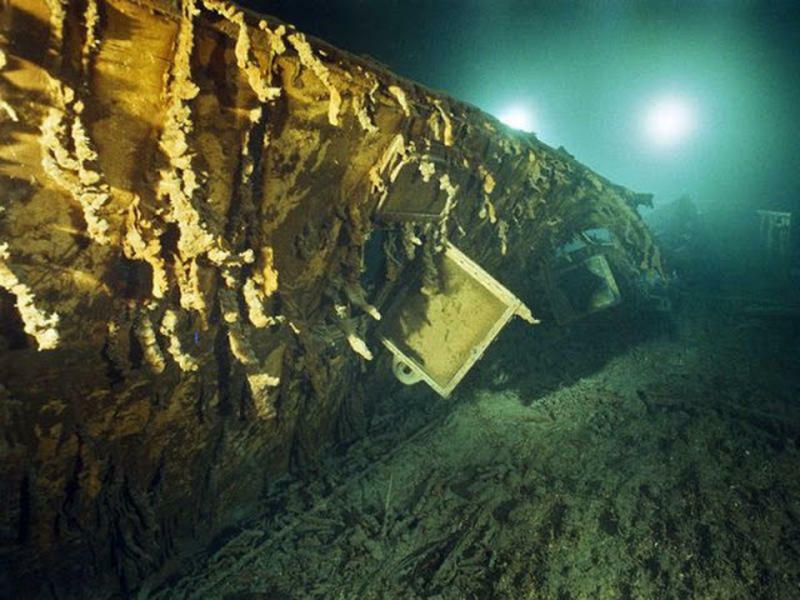 An opening on the starboard side of the ship's hull from the Titanic's collision with an iceberg on April 14, 1912. 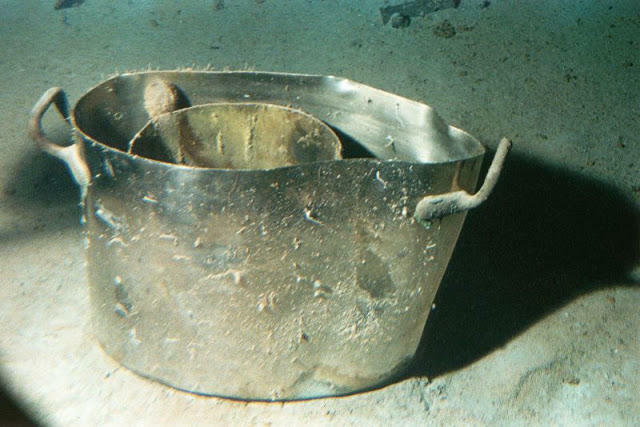 A casualty of about 1,500 people who died when the ship sank, breaking in two.